Dacotah Longfall's The Pines at Jacob's Pond, a classic destination, always shows some of the most innovative and best designed landscaping in Second Life. 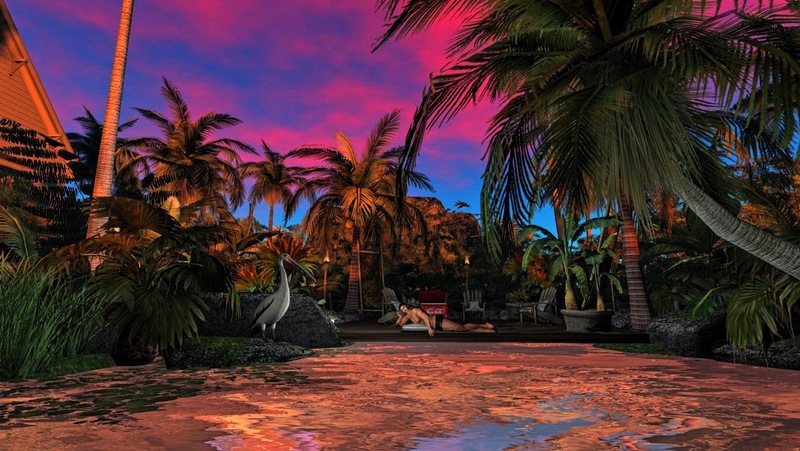 New for Spring 2016 is Dakotah's tribute to tropical Hawaii. Palm trees, wildflowers, rock formations, and exotic birds populate the beachfront here. 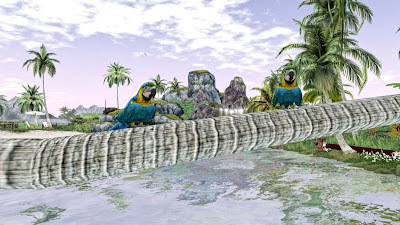 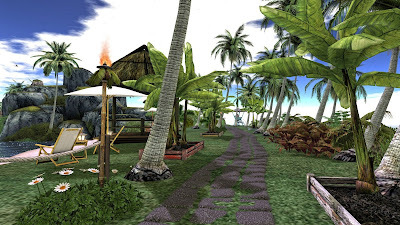 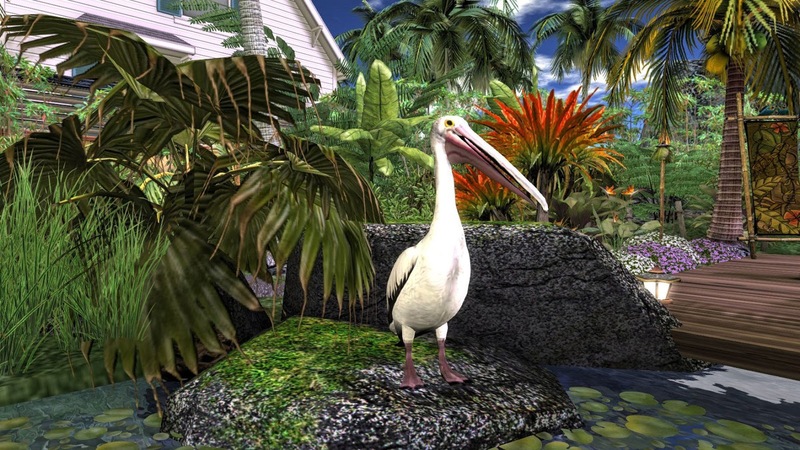 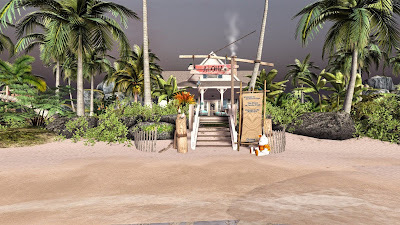 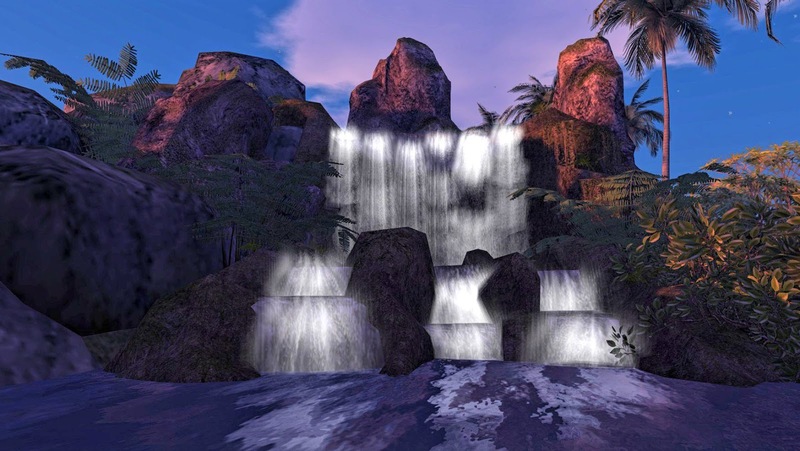 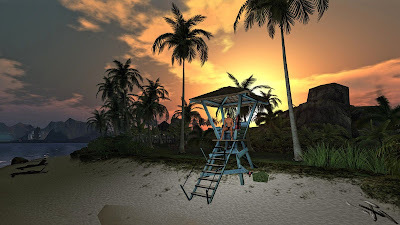 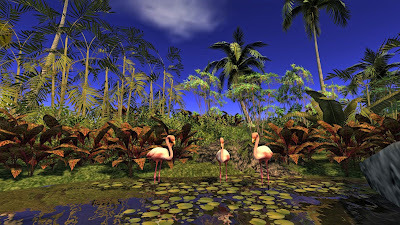 This is quite simply the best designed tropical beachfront I have ever seen in Second Life. 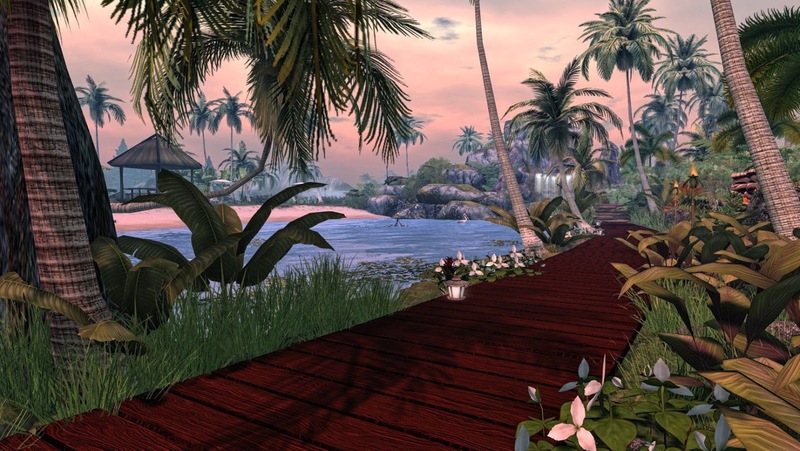 I was dazzled by this destination as was Benja. 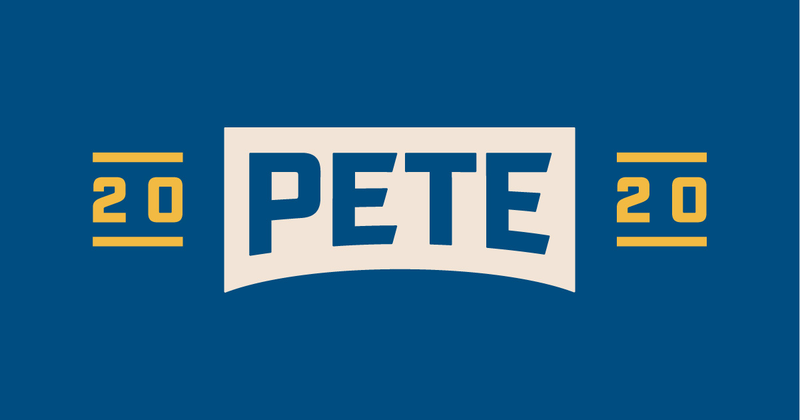 I highly recommend a visit, especially with a sunset sky setting. This qill quickly become one of your favorite hangouts - make sure to donate to Dakotah's land costs if you are charmed here.